Big fan of: His friends! Corrio feels most comfortable around people he knows well. He’d love to curl up in your lap and have you scratch his belly. This little guy is interested in playing with other dogs his size, but needs some time to get to know them first. Not a fan of: Corrio is a shy dog who needs time to warm up to strangers. He is scared of new people, and may try to get away from them. He feels more comfortable around women than men. Corrio feels nervous around the sights and sounds of the big city, and will need some help to learn to walk on a leash. Special features: Corrio is wee-wee pad trained. He will need guidance and supervision to learn to use the bathroom outside. 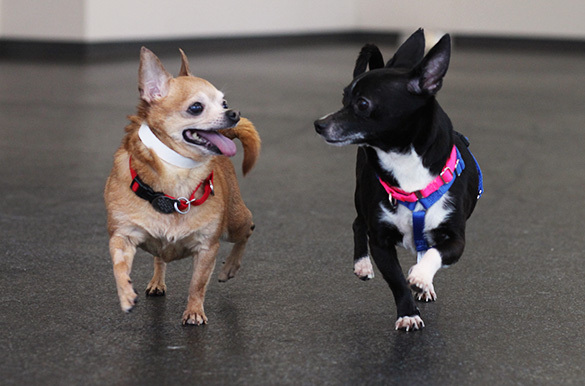 Dream home: He is bonded to his best friend Bruno, and these two little pups need to be adopted together. 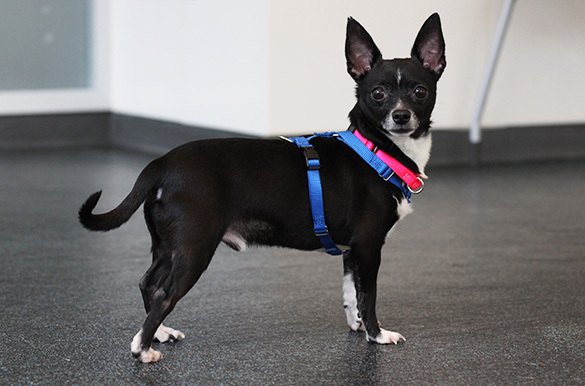 Corrio is looking for a patient, experienced adopter who will give him time to learn to trust. He would like to join an adults-only home.